LVMH Moët Hennessy Louis Vuitton, the world’s leading luxury products group, recorded 2007 profit from recurring operations of 3 555 million Euros, an increase of 12% compared to an already strong performance in 2006. The current operating margin again improved, reaching 22% in 2007. Revenue rose to 16.5 billion Euros, reflecting organic growth of 13% to which all business groups and all regions contributed. This performance is even more noteworthy in view of the strong negative impact of exchange rates, which mainly affected the second half of the year. At constant exchange rates, profit from recurring operations increased by 20% in 2007. Following growth of 30% in 2006, the Group share of net profit increased by 8% in 2007. This increase is due to the change in net financial income, which in 2006 included a high level of capital gains on divestments. Bernard Arnault, Chairman and CEO of LVMH, commented: “The excellent performance in 2007 illustrates the vitality of our major brands which continue to strengthen and gain market share. The year also confirmed the strong potential of our high growth rising star brands and the Group’s leading position in emerging markets. LVMH has showed record revenue in 2007 and has once again improved profitability. In an economic environment unsettled since the beginning of the year, we will rely on the strength of our growth model, the exceptional innovation of our brands and the talent of our teams to make 2008 another year of growth.” Highlights of 2007 include: – Double-digit organic revenue growth for the Group, – Continued strong growth of major brands, – Further market share gains in all business activities, – Outstanding momentum in Wines & Spirits, – Exceptional operating margin at Louis Vuitton which recorded another year of double-digit organic revenue growth, – Strong growth in the results of Watches & Jewelry, whose operating margin reached 17% in 2007, – Excellent performance from Perfumes & Cosmetics, led by Christian Dior, – Strong growth in revenue and profitability at Sephora, – Cash from operations before changes in working capital of 4 billion Euros, an increase of 15%. Wines & Spirits: strong increase in volumes and reaching new clients Wines & Spirits saw organic revenue growth of 13% in 2007. Profit from recurring operations increased by 10% to 1 058 million Euros. The continued increase in champagne volumes during the period was accompanied by an improvement in product mix driven by the growing success of rosés. In 2007, Hennessy cognac demonstrated strong momentum with robust growth in volumes. Its premium qualities saw particularly rapid growth. In 2007, this business group saw remarkable growth in its traditional markets, particularly in the US and in Europe. Promising new markets, such as China, Vietnam and Russia, achieved very strong growth. A highlight of the year was the acquisition of a 55% stake in Wen Jun Spirits, a Chinese producer of premium white spirits. Fashion & Leather Goods: strong momentum at Louis Vuitton and growing success at Fendi In 2007, Fashion & Leather Goods saw organic revenue growth of 14%. Profit from recurring operations rose by 12% to 1 829 million Euros. Louis Vuitton strengthened its leadership position in 2007 and once again achieved double-digit organic revenue growth and an exceptional level of profitability. It saw strong momentum across Europe, Asia and the US. Following on Marc Jacob’s collaboration with the artist Takashi Murakami, the partnership with Richard Prince further illustrates Louis Vuitton’s exceptional creative capacity. A number of leather goods innovations from this collaboration will be introduced during the first half of 2008. Fendi recorded further growth in its profitability in 2007, driven by the continued momentum of its leather products and by the excellent performance of its ready-to-wear and shoe collections. The spectacular fashion show on the Great Wall of China made a considerable impact. Several of the Group’s other brands such as Loewe, Givenchy and Marc Jacobs accomplished significant progress in 2007 and confirmed the success of their growth models. Perfumes & Cosmetics: continued innovation and increasing market share Perfumes & Cosmetics recorded organic revenue growth of 12% to which all of its brands contributed. Profit from recurring operations grew by 15%. Christian Dior continued its growth momentum in all regions and gained market share. The exceptional vitality of the perfume J’Adore and the success of the year’s new products, Midnight Poison and Fahrenheit 32, were notable. The development of the Capture skincare range and Rouge Dior makeup line also contributed to Dior’s excellent performance. Guerlain benefited from the success of the launch of its new perfume L’Instant Magic and the development of its star makeup line Terracotta. 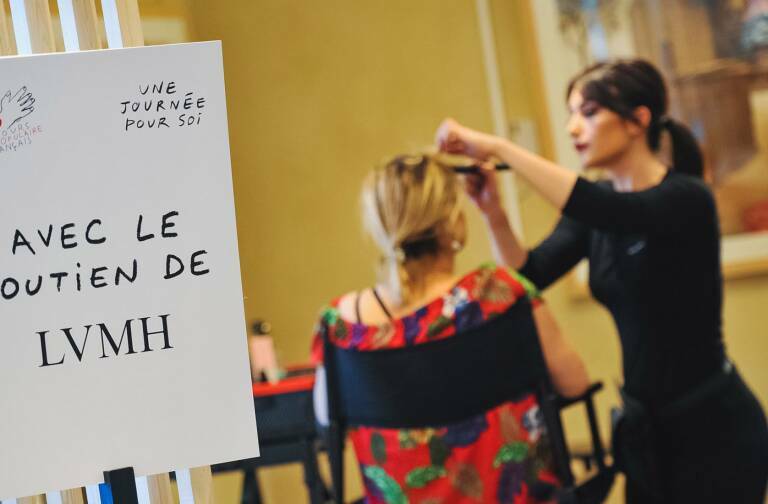 The international launch of Ange ou Démon by Parfums Givenchy and the entry of KenzoAmour alongside the major classic Flower by Kenzo were highlights of the year. BeneFit continued its rapid growth in the US and in Europe and has made a very promising start in China. Watches & Jewelry: strong improvement in profitability Watches & Jewelry recorded organic revenue growth of 19% in 2007, considerably better than that of the industry. After having almost quadrupled in 2006, its profit from recurring operations grew by 76%, thus raising its current operating margin to 17% in 2007. 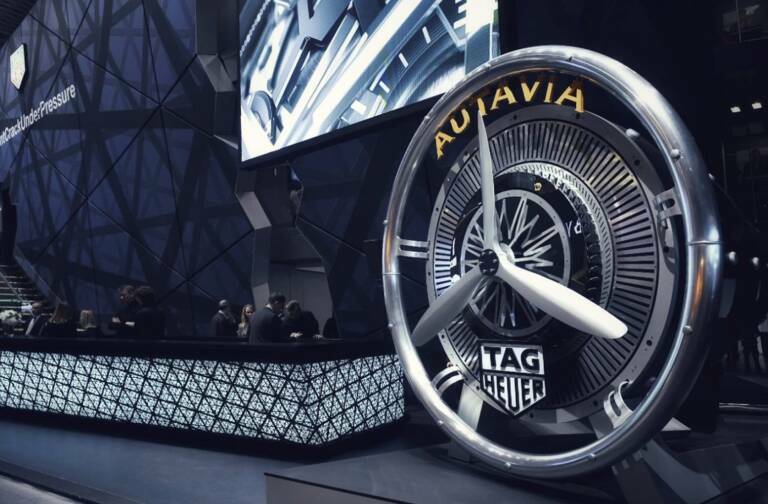 TAG Heuer, driven by its upscale positioning and continued innovation, registered strong progress in all of its markets. Highlights of the year included the strengthening of its iconic lines Aquaracer, Link and Carrera, and the launch of two new watch innovations, the Calibre S movement and the new Grand Carrera line. 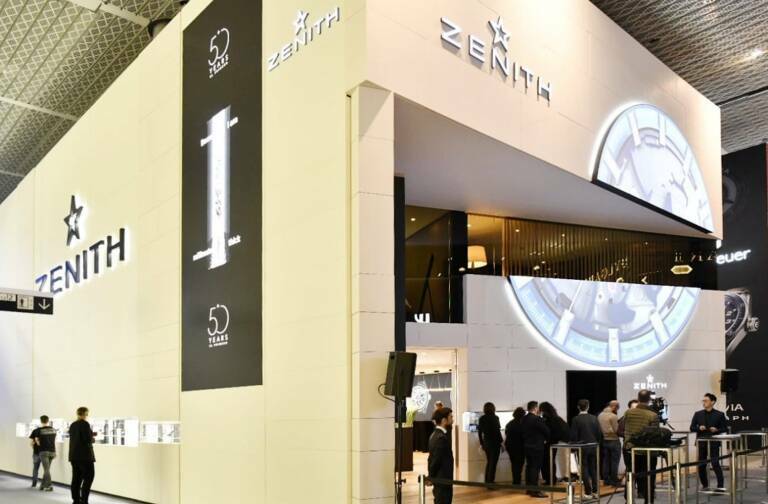 Manufacture Zenith confirmed its position as a high-end watch maker and successfully rolled out its new sports line Defy. Montres Dior benefited from the exceptional success of the watch Christal. Chaumet continued to expand its network, notably in Asia. De Beers accelerated its store opening program. Selective Retailing: expansion into new regions Selective Retailing recorded organic revenue growth of 12% and a 10% increase in its profit from recurring operations in 2007. The growth of DFS was driven by the growing influence of its Chinese clientele whose impact on revenue has increased. DFS’s leadership in Asia has been reinforced with its entry into Vietnam and the signing of a concession contract for Mumbai Airport in India. Sephora continued to win market share and in 2007 confirmed its growth trend. Its comparable store performance is excellent and the pace of store openings in its traditional markets has accelerated. The brand has successfully opened in new countries in Central Europe and the Middle East. Across all of its regions, Sephora focused on its strategy of differentiation through innovation, exclusivity and service and strengthened its customer loyalty programs. Continuation of a steady growth trend in 2008 Following an excellent 2007, LVMH is well positioned for 2008. The Group will continue its strategy of concentrating on internal growth and the development of its leading brands. LVMH has set itself an objective of a tangible growth in its results for 2008. The geographical spread of its activities, the strength and the complementarity of its brands and the exceptional talent of its teams will enable the Group to gain market share and to further strengthen its lead in the global luxury goods market. Dividend increase of 14% At the Annual General Meeting of Shareholders on May 15 2008, LVMH will propose a dividend of 1.60 Euros per share, an increase of 14%. An interim dividend of 0.35 Euros per share was paid out on December 3rd, 2007. The balance of 1.25 Euros will be paid on May 23, 2008. Regulated information related to this press release is available on our internet site www.lvmh.com.